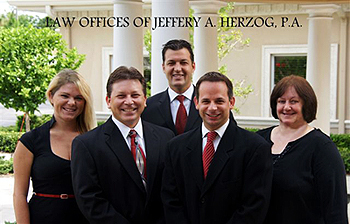 Staff of LAW OFFICES OF JEFFREY A. HERZOG, P.A. 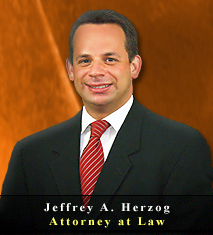 Palm Harbor Attorney & Lawyer providing professional Family Law & Divorce, Criminal Defense, and Estate Law, Business Law, and Real Estate legal services in Palm Harbor, Clearwater, New Port Richey, and the surrounding Southwest Florida communities. 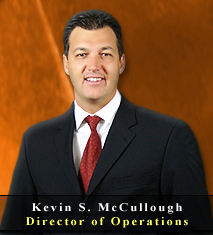 Kevin S. McCullough is originally from the Washington D.C. Metropolitan Area and has lived in the Tampa Bay Area since 2003. He is an active leader within the community serving on the Board of Directors for three years with West Pasco Habitat for Humanity. Mr. McCullough has more than a decade of experience in business management and has been wtih the law firm since 2008. He also been on a Finance Committee with West Pasco's United Way, a Vice President of the local Network Professionals Inc. While handling a variety of tasks and overseeing operations at the firm, Kevin is in charge of the budget planning, public relations, loss mitigation, client intake, and risk management. He received a B.A. 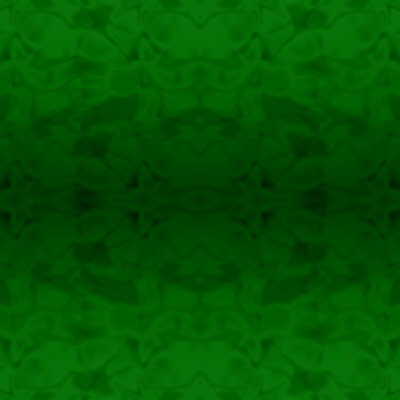 in Business Administration from Valley Forge Military College in 1995 and then studied Business Marketing at James Madison University College of Business until 2000. He has been a Notary for the State of Florida since 2005 and Florida Realtor since 2011. 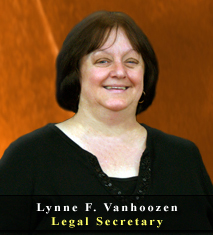 Lynne F. VanHoozen is originally from Boston, Massachusetts and moved to Florida in 1973. She has worked as an administrative assistant for the Federal Parks Program and the Florida Department of Corrections. She has been an administrative assistant with the firm for the last six (6) years. She attended Mass Bay Community College in 1970 and also attended the US Career Institute 2009-2010 to acquire her paralegal certificate.